This Bank Holiday will see 17,000 competitors take to the streets of Northern Ireland’s capital city, Belfast, for the annual Deep RiverRock Belfast City Marathon 2018. The iconic event attracts athletes from around the world and a win for Northern Ireland’s own Laura Graham (Mourne Runners) in 2017, caught the imagination of the country – Laura will again line up alongside a host of stars for the event. 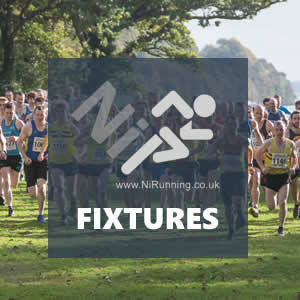 Although the Belfast City Marathon will form the focus of our Bank Holiday Preview, it isn’t the only event taking place this weekend – infact, we have our own NiRunning Mile 2018 tonight (Friday 4th May 2018). The Northern Ireland Mountain Running Association (NIMRA) season continues with the Annalong Horseshoe and a host of local runners will also travel to the IMC Greystones event. 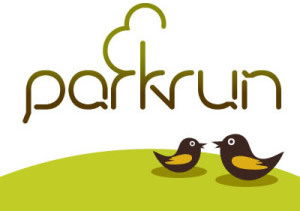 In 2012, when we started our website, the NiRunning Mile was the first event we put on – it was in conjunction with our friends at ‘Marathon Talk’ – we had a handful of people at Antrim Forum for what was an excellent night. This year, entries for tonight’s event (Friday 4th May 2018), which is hosted at the superb Mary Peters Track in Belfast, reached capacity in a number of weeks. The race timetable will kick off at 6.30pm with a FREE un-timed Kids Fun Mile race for children under 8 years of age – we see this as an excellent opportunity for children to experience the track without the pressure of competition (ie timing). This race will be co-ordinated by our friends at Allstars Sports Academy. Then at 6:45pm, the official race programme will kick off, start lists and timetable are available HERE. The event offers athletes the opportunity to secure a one mile personal best, in the best of settings, the home of Athletics in Northern Ireland. As the night progresses, the races will get quicker and quicker, culminating in the elite races, during which, Darragh Greene of Dunleer AC will be aiming to get as close to the famous 4 minute mile as possible. Also chasing down a time close to the four minute mark will be well known local runners Jonathan McKee (Springwell RC), Adam Hilditch (Dromore AC), Chris McGuinness (Foyle Valley AC) and Eoin Hughes (Acorns AC). In the race to be the fastest lady, North Down AC’s Jessica Craig will come up against friend and podium finisher from 2017, Laura Bickerstaff (Dromore AC). In-form Nakita Burke of Letterkenny AC will also produce a quick time, as will Catherine Diver (Beechmount Harriers), Marie-Therese Fitzpatrick (Lagan Valley AC) and junior star Lauren Madine (East Down AC). On Saturday 5th May 2018, a strong field is expected to assemble for Race 3 of the NIMRA Championship, the Annalong Horseshoe, in the Mourne Mountains (County Down). The 13.1 miles course, which includes 1,371m of ascent, is a ‘long’ race on the Championship calendar. Fresh from podium places at the Slieve Binnian Hill & Dale last night, Zak Hanna (Newcastle AC), Seamus Lynch (Newcastle AC) and William McKee (Mourne Runners) are expected to head the charge for honours. 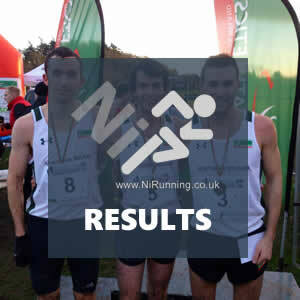 The exceptionally talented trio will have former NIMRA Champions Jonny Steede (Glens Runners) and Stephen Cunningham (Mourne Runners) on their heels; highly respected Mourne man Stevie is a notable inclusion having been missed from the local scene for several years. David Hicks (Newcastle AC), Sam Herron (Mourne Runners), Kieron Kelly (Newry AC), Colm Murtagh (Newcastle AC) and Ryan Stewart (Shettleston Harriers) are other athletes who will go well over this course. In the ladies race, the always impressive Esther Dickson (Newry AC) will run and will be joined at the head of the pack by Shileen O’Kane (Lagan Valley AC), who produced an exceptional performance for a top ten place at the recent British Championships race. Slieve Binnian Hill & Dale winner Martsje Hell (North Belfast Harriers) will also feature prominently at the front. Other ladies who will go well include Gillian Wasson (Ballymena Runners), Hazel McLaughlin (Lagan Valley AC) and Jacqueline Toal (BARF). Other athletes to look out for include Simon Reeve (North Belfast Harriers), Tim Brownlie (Willowfield Harriers), John Devlin (Annadale Striders), Dave Lonnen (City of Lisburn AC), John Craig (Victoria Park & Connswater AC), Ross Mercer (East Antrim Harriers), Noel Connor (Ballymena Runners), Michael Allen (East Antrim Harriers), David Noble (Larne AC), Phelim McAllister (Larne AC) and James Turtle (Ballymena Runners). On Saturday 5th May 2018, a host of familiar faces will travel to Greystone, just outside Dublin (Ireland) for the Irish Milers Club Greystones Meet. The event will have 5,000m, 1500m and 800m races and amongst the local competitors taking part are Scott Rankin (Foyle Valley AC), Craig McMeechan (North Down AC), James Hamilton (Ballymena Runners), Jonny Whan (City of Lisburn AC) and Rachel Gibson (North Down AC).